While I wouldn’t change travel plans or go out of my way to take advantage of Marriott’s current bonus, I definitely didn’t hesitate to register for the remaining couple months. Register by Jan. 9 and stay by Jan. 31, 2019. Earn 2,000 bonus points on all stays of two nights or more and 1,000 bonus points for each stay at a different Marriott or Starwood brand, starting with the second brand. Diehard Marriott loyalists who can stay at 10 brands will earn additional 10,000 points, and the most ardent fans who can stay at all 29 brands will earn additional 29,000 bonus points. I’m curious to see who takes up that challenge. For purposes of the promotion, a single stay is defined as two consecutive nights at the same hotel. Rooms booked through third-party sites and select travel agency bookings are ineligible. I always pay for Marriott stays with my Chase Sapphire Reserve card to get three points per dollar spent. This is a better equivalent earning rate than the six-points-per dollar earned through the Marriott Rewards Premier Plus Card. This is Marriott’s first promotion after the merger and I am not impressed. Even if someone stays at all 29 brands, the bonus points won’t be sufficient for one award night at a category 5 hotel. Hopefully they’ll be coming out with more exciting promotions in 2019. 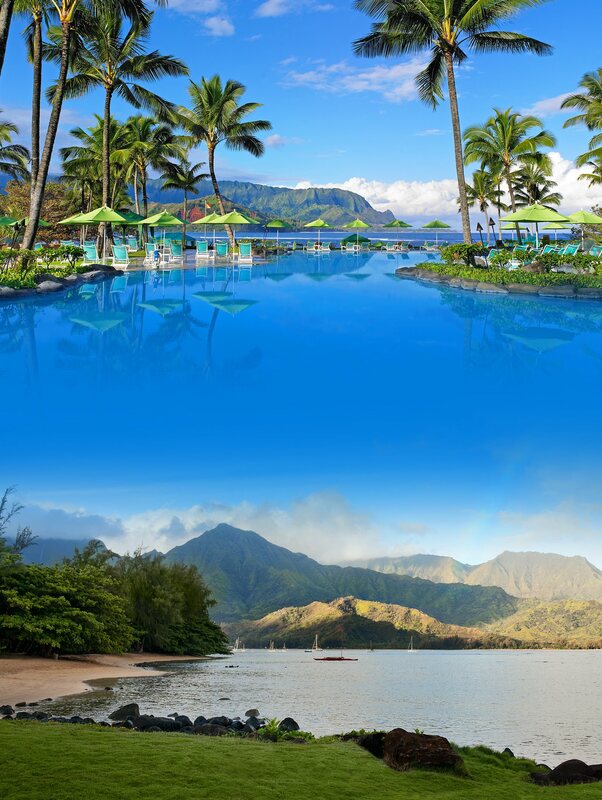 Marriott points provide stays at beautiful hotels such as the St. Regis Princeville on Kauai! Worst promo they have had so far.